Health Costs > How Much Does a Knee MRI Cost? How Much Does a Knee MRI Cost? 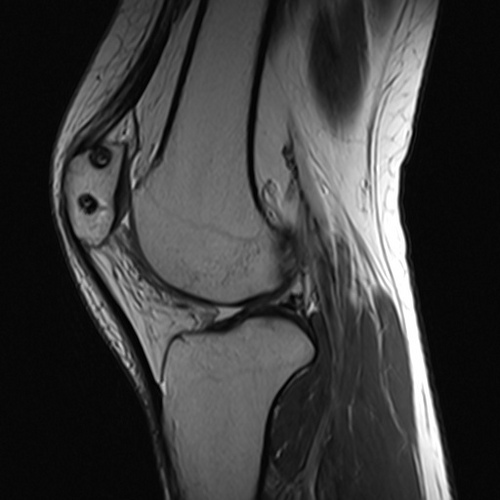 A knee MRI will use magnets and radio waves to capture the images inside the knee area and its surrounding areas. Unlike an x-ray, an MRI won’t use any radiation. Once done, an MRI allows a doctor to view the soft tissues in your body, along with the bones. It can also provide detailed images such as the cartilage, tendons, blood vessels, ligaments and muscles. This MRI, according to the Radiological Society of North America, will be ordered to treat conditions such as arthritis, bone fractures, fluid buildup, infections, tumors and more. The average cost of a knee MRI can range anywhere from $700 to $3,500 when done in a hospital setting without health insurance. This amount does not include the radiologist and report, which may cost a few hundred dollars more depending on the specialist. If you have a health insurance policy, you will be responsible for your deductible and/or co-pays, but in some circumstances, you may be able to call your insurer or even visit their website for a ballpark estimate. Since all policies vary, it is best to discuss this pricing with your health insurance provider. If you do have insurance, our research has indicated most people, after the insurance kicked in, had paid anywhere from $450 to as much as $1,100. This, of course, could be much less if you were to have a better insurance policy or you have met your deductible for the year. On AuntMinne.com, they did research showing the isoprenalines with knee MRIs across the United States. The researchers, according to the study they had cited, said they had found prices ranged from as little as $259 to more than $2,042, with a high average located in the West to a lower average in the Midwest. Forum members talked about the costs of a knee MRI on LetsRun.com, and according to the forum thread, they had said the prices, without insurance, would be inside the $700 to $2,000+ range. Depending on your doctor’s orders, you can get a knee MRI in two types of centers: either a hospital or a freestanding MRI center. A hospital, almost all the time, will be more expensive due to the higher overhead costs and billing procedures, whereas a freestanding MRI center will be just that — a center that primarily focuses on MRIs. These centers will be cheaper but sometimes may lack the quality when compared to a local hospital. Prior to the knee MRI scan, the patient is asked to remove any metal attached to the body, such as piercings and your clothing so you can slip into a hospital gown. The MRI technologist will then insert an intravenous line if you’re using a contrast dye and position you on your back to start the scan. The scan usually lasts for 30 to 60 minutes; however, it may take longer if the patient has trouble taking the test, such as claustrophobia or lying on a hard surface for that long. Breaks may need to be taken if this is the case. The estimates mentioned above usually includes the physicians (interpretation) and technical (imaging) fees. There are times when the test will be billed in two parts. After the MRI has been done, the MRI images will be black and white, with the contract appearing bright in abnormal areas due to enhanced cell activity. When the doctor reviews your MRI, he or she will explain teh problem and discuss your next steps for potential treatment options. A professional radiologist, if charged separately, will be about $250, on average, to interpret the results. If the patient is unable to take the test while awake, sedation may be necessary. Depending on your condition, your doctor may order an x-ray along with the MRI. Because of the nature of the MRI, there are many people who have a hard time with the test. If you have a hard time lying down on a hard surface for too long, your may not be able to undergo an MRI. If the loud noise of the machine will bother you, you may need to wear headphones or earplugs. People who are claustrophobic will most likely not be able to have a traditional MRI done. However, in recent years, open MRIs have become an option. This type of MRI will have the same results but will be more comfortable for the patient. It may cost more than a traditional MRI. Make sure that your health insurance will cover part of the costs, if not all, of the MRI scan. That way, you can lessen your expenses. If you have insurance you can use them to ask for the available in-network providers in your area that offer reasonable prices. If you do not have a policy, consider using comparison websites such as eHealthInsurance.com to find an affordable policy. If it isn’t an emergency, call providers and ask if they offer discounts for self-pay patients in case you do not have a health insurance. If they do offer discounts, ask what will be their price of the service. You may be able to get up to half off the price if you are able to pay cash up front. A freestanding center, on average, can be up to 60 percent cheaper than a hospital. If your doctor allows it, see if your city has a center that specializes in MRIs.